This is a specially designed two-year Diploma to prepare you to become a fully qualified Operating Department Practitioner - a vital part of the operating theatre team who supports surgeons, nurses, anaesthetists and patients throughout surgery. The course combines theoretical and practical skills, complemented with clinical placements in a range of specialities and settings. Our approach to learning means that you should leave with clinical competence and the ability to apply best knowledge to direct patient care in contemporary healthcare settings. Your work will be assessed using a mix of methods including text based submissions, written examinations, oral examinations, presentations and clinical skills assessment both in placement and simulated in university. 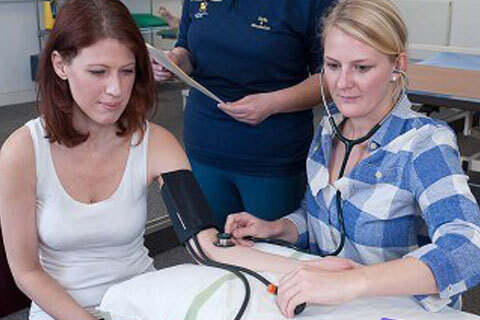 Simulation activities will prepare you for clinical practice, by allowing clinical skills and behaviours to be rehearsed before applying these in the clinical setting. You will be encouraged to develop and demonstrate a range of skills to prepare you for a successful career as an Operating Department Practitioner, including confidence in care delivery, the ability to research, appraise and evaluate evidence. You will study at our recently extended £71 million City South campus in Edgbaston, Birmingham, complete with a fully equipped operating theatre and specialist surgical simulation facilities to support you as a practitioner throughout the course. Our academic team are dedicated to your development and have many years of experience in delivering perioperative education in academic and clinical settings. Our experience provides an excellent resource that will help you develop a clear understanding of the relationship between theory and practice. - many of our staff are still active operating department practitioners, so you can rely on them for all the practical guidance, advice and knowledge you need. GCSE at Grade 4 or above (previously Grade C) in English Language, Mathematics and Science. Passes in the following qualifications are also acceptable: Functional Skills Level 2 (English and Maths), Key Skills Level 2(Application of Number or Communication), and City and Guilds Level 2 Certificates (Adult Literacy/Adult Numeracy). Irish Leaving Certificate, Grade B3 or above to include English and Mathematics and preferably a science subject. Scottish qualifications, Intermediate Standard 2 or above in English and Mathematics and preferably a science subject. Will be considered in conjunction with other qualifications to equate to 88 UCAS tariff points. Distinction required (equates to AB at A2 - 88 UCAS tariff points). 88 UCAS tariff points from a maximum of 5 Highers at Grade C1/H4 or above. Completion of full year (transcripts will be required). Places are subject to a satisfactory Occupational Enhanced Heath Check, Disclosure and Barring Service report and registration with the Independent Safeguarding Authority. * Interviews: Candidates who are successfully short listed will be invited to attend a selection event. This will consist of a presentation from one of the ODP team which will include an outline of the day. Candidates will participate in group activities and several mini interviews. Students will be offered a tour of Birmingham City University facilities on the selection day. Taught in state-of-the-art facilities, including an operating theatre, at Birmingham City University we use a variety of teaching methods to help you get the most from your study, reflecting the subject matter and your individual needs. And as we're one of the largest ODP centres in the UK, we can offer you the chance to experience everything from transplant surgery to specialist oncology to neurosurgery. The programme has long established links with NHS and private health providers and has worked with the military in training ODP’s since the course started. 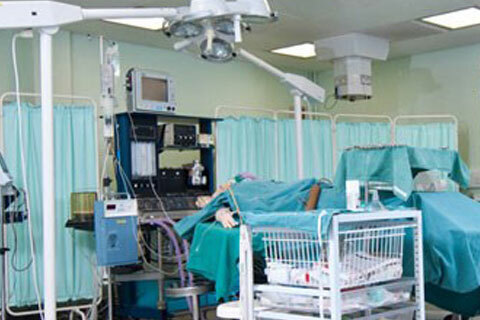 It is important you appreciate that fees for accommodation and/or travel will require personal financial outlay; these may be reimbursable to some extent, the most up-to-date information can be found on the NHS Business Service Authority website Additionally there is no guarantee of a placement in a specific hospital or area.